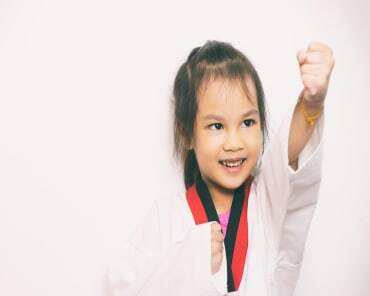 Sure you’ll sign your kids up for martial arts in a heartbeat, but why not yourself? 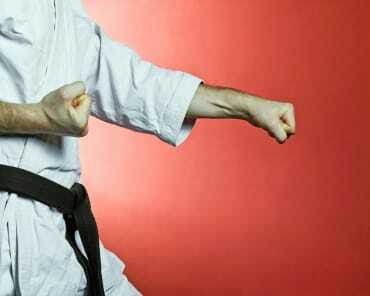 Here are 14 great reasons that your entire family should do martial arts. It is great when families can all do an activity together or learn something new together. Plus having the support system when learning something new and having people to practice with is always helpful. 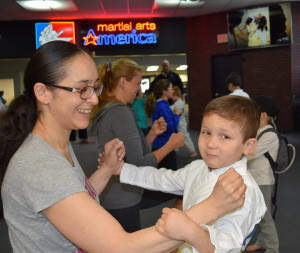 Most martial arts schools have programs for ages 3 and older, and often times they have family classes as well! I guarantee there is a martial art suited for everyone. Not everyone may be suited for an intense MMA class, but I know as a Martial Arts instructor, we have never came across a person that absolutely could not participate in classes, no matter what. This point sounds silly, but in all honesty, when was the last time you really stretched? The importance of flexibility goes without saying. Okay, being able to go into a full split probably isn’t crucial to your everyday life, but a little flexibility goes a long way. Picking up a new activity means you are probably using muscles that you normally didn’t use in your everyday life before, so you are getting stronger without even realizing it. Throwing those kicks and punches that are new to you are building muscles and making you stronger. Everyone needs to learn how to defend themselves on some level. Unfortunately, in today’s world, we need it now more than ever. No matter where you go or how you look at it, the world is becoming increasingly dangerous. Knowing just a little self-defense could go a long way; it could even save your life. Taking martial arts as a family may not stop every single sibling fight, but there is no doubt that martial arts is all about respect. If the entire family does martial arts together, respect is sure to develop. There is no doubt that kids follow in their parents' footsteps, and goal setting is an important lesson to teach your kids. If you are all in martial arts together, not only do you get to lead by example, but you all get to set a goal and achieve it together as a family unit. A little competition never hurt anyone. If anything, that strengthens your bond as a family. Plus getting pushed to try a little harder and be better will only enhance the other benefits like strength and flexibility. Also, the bragging rights are always a nice bonus. Getting all of this exercise will result in more energy. The kids probably don’t need this, but for adults, having that extra pep in your step can even improve your workday. A martial art teaching discipline and focus? What? No! Haha This may be an obvious point but even as an adult or child, these are areas that can always be improved on and are necessary for success in other areas of life. Doing something like martial arts as a family has great immediate benefits, but looking into the future, doing a super cool activity like this a family is something amazing to look back on. This will create positive long lasting memories for the entire family. Undoubtedly, having a black belt is just plain cool. No matter what age or martial art you decide on (obviously I recommend Karate...:P ) having a black belt is a major accomplishment. It looks good on college applications, social media bios, and it’s just an awesome fact to be able to throw into a conversation. As if all those benefits weren't enough, I am going to add one more! We have a 100% Money Back Guarantee on our Low Cost Trial Programs for every type of training we offer, so you and your entire family can try us out at absolutely no risk to you! Just click on the Trial Membership Tab to see what we have to offer!